"I never teach my pupils, I only provide the conditions in which they can learn." 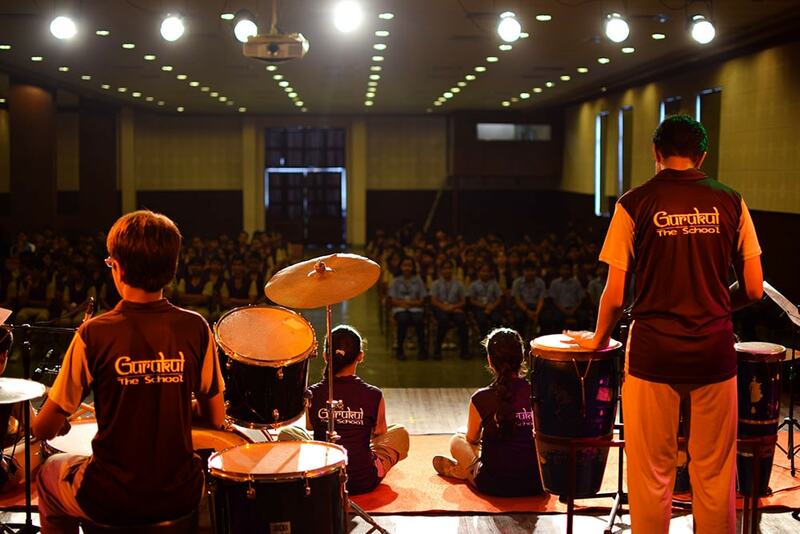 Gurukul The School's seed is sown by Gurukul Education Society which was set up in 2002 by eminent educationists, bureaucrats and people of repute with a purpose to prepare the children for 'Real Life'. The School was established at Raj Nagar, Ghaziabad with a conviction to discover with accuracy the peculiar bent of the genius of little ones . After three years of expertise in handling and managing the school till primary level, the school shifted and expanded its wings upto Senior Secondary School at NH-24, Hapur Bypass Road Ghaziabad around a wide area of 6 acres. Since then, the years gone by have been full of tireless efforts, gratifying results and humble acknowledgement. 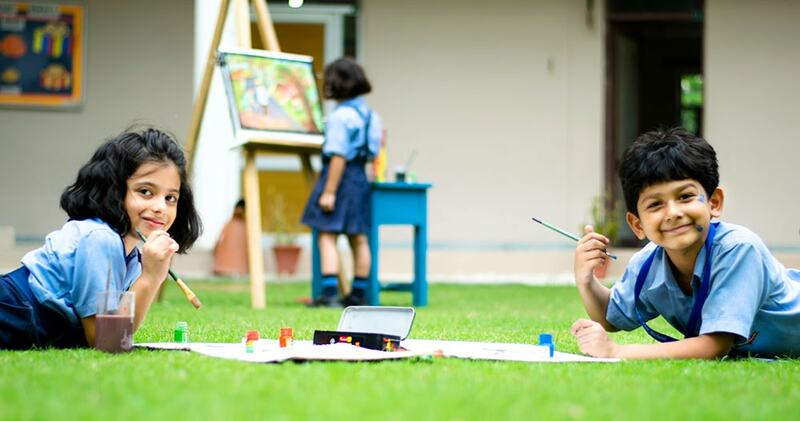 Being the world's most valuable resource and its best hope for the future, it is our mission to nurture children's creative mind and enrich their curiosity. That will not only help them to evolve as a responsible global citizen but also continues their learning process that will sustain their personal excellence. The five values –RHCFR (i.e. Respect , Honesty, Compassion, Fairness, Responsibility) are the recognized core values of cultures throughout the world. These five core values are the basis for the School's approach to Character Education and serve as the foundation for all relationships among students, staff, faculty, administrators, and parents. Academic Rigor, Professional Excellence, and Extraordinary Care for the Welfare of Each Child are three operational imperatives that guide the School's efforts and resources in achieving excellence as a world class leader in education. 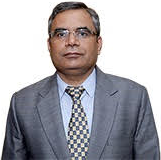 Mr. Indra Mani Pandey joined as Ambassador of India to the Sultanate of Oman on 10th August 2015. Earlier, he served as Deputy Ambassador of India at Paris during January 2013 to..
A renowned Educationist, Academician and a Philanthropist and a visionary Mr. Sachin Vats- the Founder Director of Gurukul The School, believes that Education is like a touchstone that changes ignorance into enlightenment and transforms young minds into skilled leaders. He feels that today when the world has woken up to the infinite potential of youth, the greatest challenge for any educator lies in channelizing the bounteous energy that every child is born with, and streamlining the wonderful skill sets each of them is endowed with, by creating a learning environment where each child feels valued and every opinion is respected. It’s the efforts and tremendous dedication of Mr. Sachin Vats that GurukulThe School one of the top ranking schools of the city. Fulfilling the social responsibility he is the part of Rotary Club of Ghaziabad since years and is currently heading the District Chair of Rotary Interact Club. He is Paul Harris Fellow of Rotary International. He has also been awarded Avenue of Service Citation and Rotarian of the year award, 2012. He is also the Vice President of Manovikas Charitable Society which is a civil society organization whose goal is to successfully help those with intellectual and development disabilities. He is also the Vice President of District Hockey Association. He thereby promotes Optimum exposure to the sports activities, building stamina, teaches team spirit and prepares one for the arena of life. Mr. Vats is Gold Medalist in B.Tech, Masters in Education and Administration. He also has flare for art and is associated with theatre since his school days. He has been a speaker and a panelist in many International and National Conferences & Seminars. He has also presented a paper on Transformation of Education sector in India – new soft Power element, at University of Warsaw, Poland. A former civil servant and motivational speaker, he is disability expert, documentary film maker, inclusive and special education consultant, university teacher, journalist and feature writer and a sportsperson and qualified sports coach. He has been active in the passage of several landmark legislations in the social service sector and has initiated work in the field of mental health and well-being of orphans and juveniles. He is also a former Vice Chairperson of the Forum of Public Schools. Mr. Vikramdutt is a Founder Associate Editor of Institutionalized Children Expectations and Beyond, a New Delhi based SAARC academic journal on mental well-being of children. He is a former Editor of Indian Journal of Disability and Rehabilitation and has been an Editorial Consultant to the Boston University-based journal – Sexuality and Disability. He is the author of over 250 publications and has more than 50 documentary films to his credit. Many of these have been screened at prestigious International Film Festivals. He has been a visiting fellow to the U.S.A, Italy, Germany, and the UK. He has also been invited by the governments of Oman, Saudi Arabia and Kuwait and has participated in film and journalistic curricula there. The USA invited him as a State Guest under a special Indo-US protocol in the disability field. He was also invited as Resource Person in his parent’s country of origin –Bangladesh – for establishing Inclusive Education in that country. His international honours include ‘500 Intellectuals to Influence Contemporary Thought’ and ‘Man of the Year’ and ‘Man of the Decade’ Awards, all from USA. He has been felicitated by the Chairperson of the British House of Lords Committee on Disability. He has also won several awards in India for his work with the disadvantaged, including the ‘GauravSamman’ Award and an Award for promoting international peace and understanding from Italy. Currently, he also serves as a Core Committee Member of Experts on Rehabilitation established under the Government of India. Former Head of Army Air Defense College, Motivational Speaker and a renowned Career Expert. 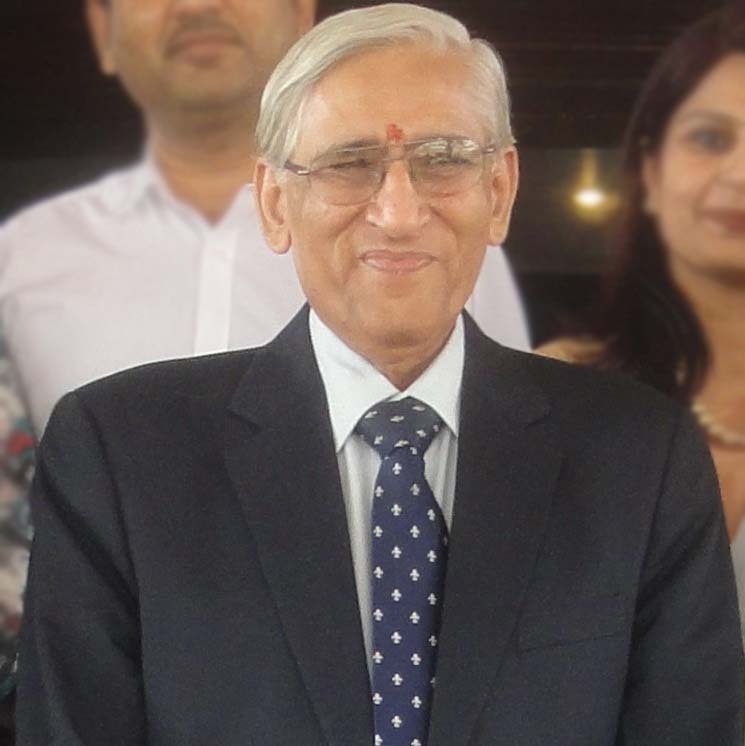 Major General Pramod Saighal retired in 2002 as the Head of Army Air Defence College wherein he trained officers in Nano-Technology, Information Technology, Electronic Warfare, Radars and Computers. He has trained over three thousand officers of Indian and 38 foreign Armies at Army War College Mhow. He has also trained cadets of The National Defence Academy, Khadakvasla and The Officer’s Training Academy, Chennai. He is a pilot and a deep sea diver and has flown extensively in the North-East and J&K. Since 2004, he has been working on a mission whose primary aim is to add solidity to the lives of children through a variety of workshops designed to improve their competitiveness and earning potential. Till date, he has counselled approximately 8.3 lakh children of schools, colleges and universities on The finest career opportunities through science, commerce and humanities, Personality development, motivation and power of thoughts, Defence Services and Civil Services, National Security and Leadership in the 21st century. In 2011 and 2012, he counselled over 30,000 children in South, Central and North Kashmir at the behest of The Army and Sri Sri Ravi Shankar. He has asocounselled children in dacoit-infested areas around Rewa and Satna at the behest of Chinmaya Mission. Ms. Nandita Tewari has acquired an interesting and diverse experience after she forayed into education thirteen years ago. She is expert of innovative inclusive education. She is a firm believer in teaching the way students learn and offers an exhaustive repertoire of strategies for all kinds of learners in the classroom. She has been instrumental in curriculum designing based on 'backwards by design' and 'concept based learning.' She studied History in BA Honours from Lady Shri Ram College and then did her Masters in Business Administration. Re-orienting her priorities in life, she did B.Ed in Special Education from JamiaMillia University, specialising in Learning Disabilities. Her desire to acquire pedagogical expertise led her to pursue a PG Diploma in Learning Disabilities, culminating in a M.S. (Multi-disciplinary Education) from State University of New York, USA, specialising in EAL, Gifted and Talented and SEN interventions. She has been a speaker for innovative pedagogy at the Asia Pacific Leadership Conference in Hong Kong. She is trained in IB English Language and Literature and currently pursuing action research in approaches to teaching and learning in the IB Diploma programme. As the Curriculum group chair for EAL teachers among all secondary ESF schools in Hong Kong, she has been sharing her own perspective, learning and experiences in her classroom by way of organising sessions for Education Bureau of Hongkong and other international school teachers in HongKong. She is also listed as a certified test assessor in the British Psychological Society, London. 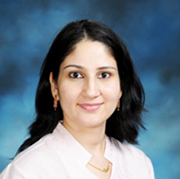 She has also worked at the American Embassy School, New Delhi and the Dekalb County Schools, Georgia, US. Dr. Sharon Zumbrunn is an Associate Professor of Educational Psychology in the School of Education at Virginia Commonwealth University (Richmond, Virginia, USA). 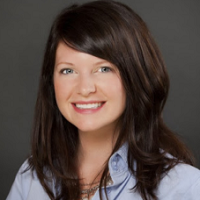 Her research focuses on the contexts that foster student writing success, and interventions to improve student writing motivation and self-regulation. Dr. Zumbrunn has been principal investigator of several funded studies longitudinally exploring the development of student writing motivation, self-regulation, and achievement. Mr. Yashpal Solanki has been playing Judo continuously for the last 25 years and represented country at the international level. He has participated in approximately 100 world class championships with 30 medals to his credit. He is decorated with prestigious ArjunAward, Bhima Award and Maharaja Ranjit Singh Award for his achievements in the field of Judo. 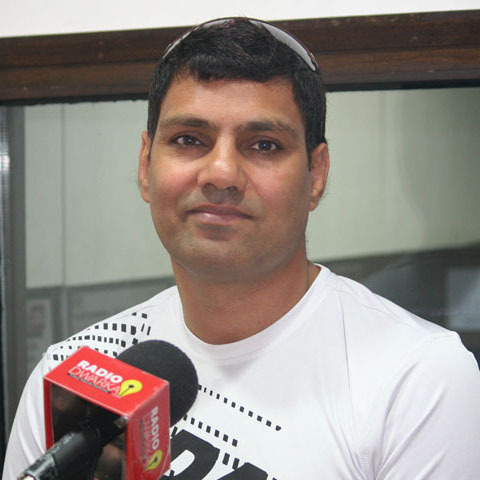 He is also Commonwealth Champion-2010 and World Cup Bronze Medalist 1996.Under his guidance as coach Indian Judo Team has represented India at many International tournaments including Rio Olympics, 2016. 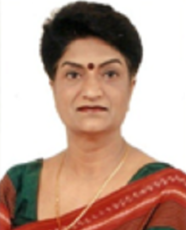 Ms. Prabha Verma is a highly skilled and overtly student- focused educational leader. She has a strong commitment to the development of students, staff and providing a stimulating and motivating learning environment. Dynamic visionary leader and solid team player with a proven track record in collaborating with the school, community, increasing student academics, and maintains an excellence in education, a professional with superior communication skills to develop strong and lasting relationships with all the members of the school community. Mr. Indra Mani Pandey joined as Ambassador of India to the Sultanate of Oman on 10th August 2015. Earlier, he served as Deputy Ambassador of India at Paris during January 2013 to July 2015 and Consul General of India at Guangzhou (China) during January 2010 to December 2012. 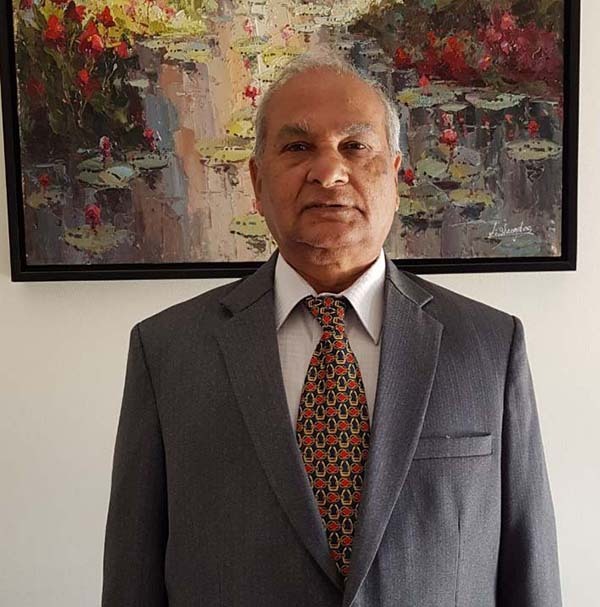 Mr. Pandey has also served, in various capacities, at Indian Missions at Cairo (Egypt), Damascus (Syria), Islamabad (Pakistan), Kabul (Afghanistan) and Geneva (Switzerland). At the Ministry of External Affairs, New Delhi, he has served, in various capacities, in several Divisions such as West Asia North Africa (WANA); Consular, Passport and Visa (CPV); Counter Terrorism Cell (CTC); Americas (AMS); and Bangladesh, Sri Lanka, Maldives and Myanmar (BSM). During 1998-99, Mr. Pandey attended the Foreign Service Programme at Oxford University, UK. He also attended, in 2009, the annual 49th Course on National Security and Strategy, conducted by National Defence College (NDC), New Delhi. In Muscat, Mr. Pandey is accompanied by his wife, Mrs. SushmaPandey and their daughter, DevangiPandey. During 37 years of professional career (1968-2005) as a member of Indian Customs and Central Excise service, served in various positions, including Commissioner/Chief Commissioner and during 2004-05 as Member (Personnel & Vigilance) and Budget of the Central Board of Customs and Central Excise, Ministry of Finance. Served as Member, Appellate Tribunal for Forfeiture of Properties, from June 2005 to July 2007. Experience of 14 years in the field of narcotics law enforcement and was honoured with the Presidential Award in 1989 in recognition of distinguished services rendered in anti-narcotics legislation, including contribution to formulation of India’s stand on the Draft UN Convention of 1988. Appointed as international consultant to the Regional precursor control project (August 1998) and as National Evaluator for the UNODC Regional Precursor Control Project for SAARC Countries (October 2003). Participated in various international conferences dealing with international law on narcotics. A Graduate in Science & Education and consistently trying to equip our children with values of Love, Culture & Knowledge through education that enables them to adjust &adopt to the emerging society of multi-cultural thoughts, beliefs & religion. She holds the Post of Director ( Administration ) & contributes in all the endeavours undertaken by the school. An inspiration that kindles optimism & the willpower to stand together as a team in all the projects which eventually helps in learning, unlearning & relearning to succeed & to triumph. Mr.DiwakarTewari is Director Finance of the school. He also happens to be the Vice-President of the Gurukul Education Society Mr.Tewari, a civil engineer by profession, has been associated with the school for over a decade and contributed a lot to the attainment of society’s objectives of providing fair and quality education to all. 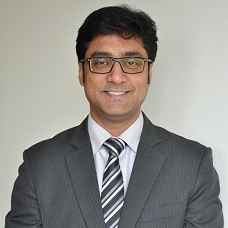 He has been an integral part of management team, providing strategic and financial guidance to the institution. He is also instrumental in providing world class infrastructural activities to the school. With his vast experience and knowledge he ensures effective and efficient financial management within the organisation. He is an avid sportsman and has been a captain in his college cricket team. He believes that studies and sports go hand in hand. The School is committed to provide education that is multi – faceted following an approach driven by experience, creativity and a far reaching Global outlook. The endeavour is to create well- rounded, confident individuals who willingly contribute towards the well being of the country and the world at large. The students under our wing are taught "how to think not what to think". The vision of the school is to make learning an important resource for the child’s social behavior and personality, so that they may walk on the path to accomplish their objectives through value based ideals and principles. 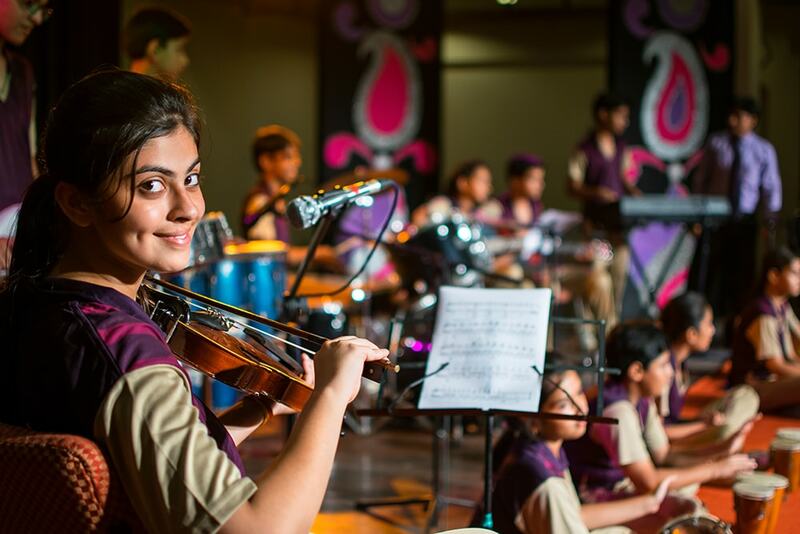 A sharp eye for observation will let everyone capture the emotional bond between the teachers and students, which is a significant special feature of Gurukul The School. The curriculum provided is rich and innovative; focuses that the children are imparted 'Education for life' which encompasses not only knowledge but also enhances talents and life skills, necessary for the holistic development of the child. 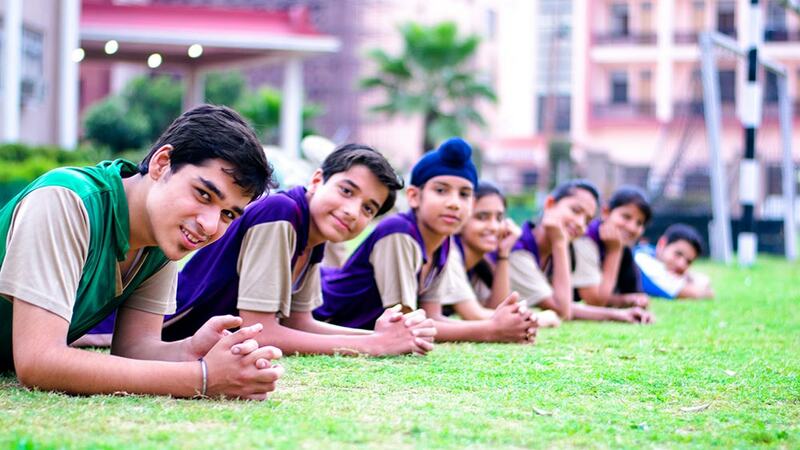 Pupils potential is fully developed through sports, games and a variety of cultural activity and competitions. Quizzing, debating and environment protection activities also feature in the calendar. In our eagerness to embrace the modern systems, competencies and technologies; we do not forget or ignore the time tested traditions handed down to us from generations. The whole purpose of Teaching is to turn mirrors into windows. The vision is to give life- long values to the students that nurture humanity, create Global citizens and give shape to a better World. I am looking forward to continuing this process with you. Sincerely on behalf of all of us at Gurukul The School.